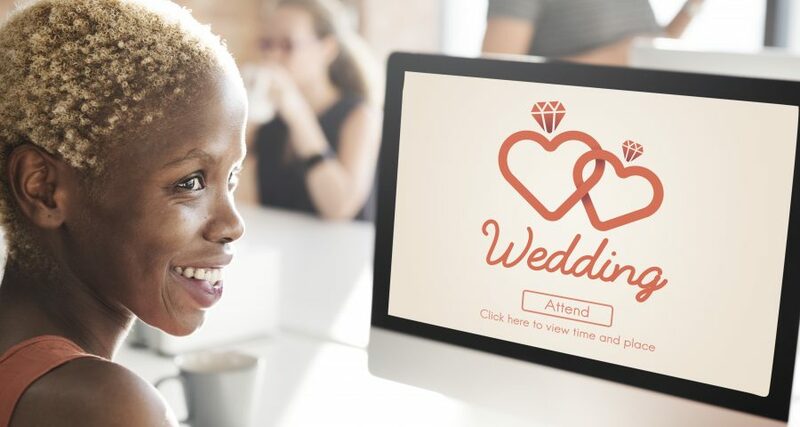 In the digital age we are in, couples are hunting for solutions with free wedding e-invitations. Going digital is of course both better for the environment and your wallet, and it makes it super easy to direct guests to an online RSVP. Just like a paper invitation, online wedding invitations can be simple or more detailed, and customized to fit the style of your wedding. With an increasing number of resources, we decided to put together a list of providers of free e-invitations. Evite is one of the ‘originals’ in the free e-invitation space. The site has both free and premium wedding invitation designs to choose from. If you’re looking for something simple, Evite is a good choice as you can quickly input your own event’s details into their templates and go. You can also add guest’s emails to invite them by text! The downfalls of Evite are the lack of overall customization options, as well as the ads that are shown when your guests view your invite. Unlike Evite, RSVPify began primarily focusing on the RSVP process. The platform boasts an email invitations builder with a built-in image editor and the ability to add buttons and merge tags. 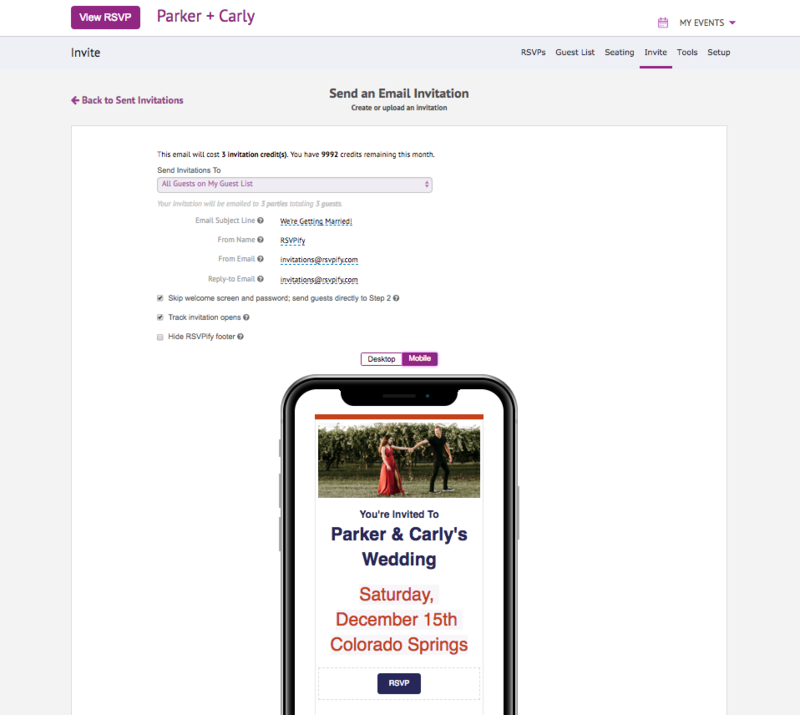 If you’re looking for a provider with free online wedding invitations that are completely customizable and with no ads, RSVPify is a great choice. The cons of this choice? RSVPify doesn’t offer many templates and rather gives hosts the creative freedom. Additionally, the e-invites can only be sent to one member of a party or family. If a more a variety of templates to choose from is what you prefer, Paperless Post is a great consideration. The invitations operate on a coin system, and the cost depends on the design choice and customizations made to your invitation. Their online invitations include an animation of the envelope opening and the invitation coming out, as if you’re opening a real paper invite. This animation is viewed in a browser tab after clicking on the linked email. 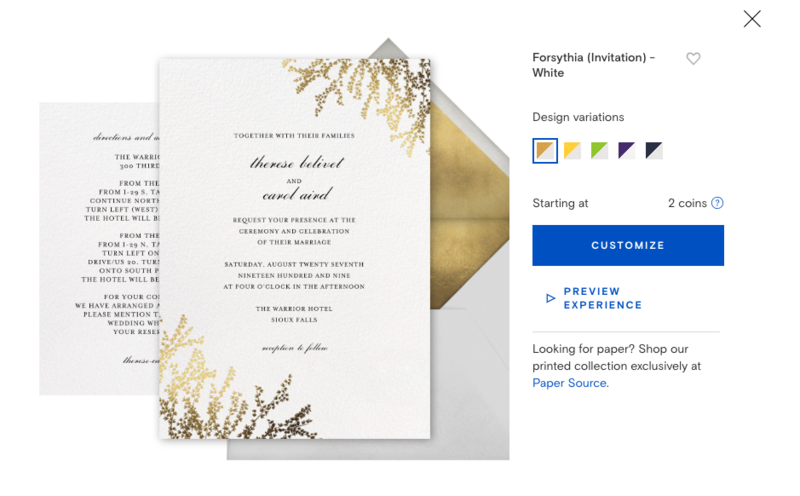 Punchbowl offers a digital version of the paper invite experience with the ability to customize the envelope lining, postage stamp and rubber stamp. Similarly, you are also limited in customization to the text fields and color schemes of the selected invite template. Their free tier offering does include ads on your invite that will be seen by guests. Trying to decide if free e-invitations are right for you? Check out this article next.